This truck has been named GIBRALTAR by its Californian creator after the iconic coastal mountain that climbs 4000 feet out of Santa Barbara. Restored by Arkonik with a host of overland features that will allow our client to tackle the roads less travelled in this steep mountain range. The area is popular with cyclists, who like our owner are looking for “an escape from the day to day worries. The people at Arkonik are first class. 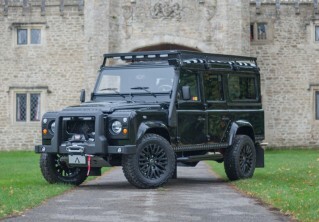 Bottom line; Arkonik only restores/ builds Defenders; no other makes or models to distract them. They know every bolt. They have it figured out. Thanks for everything Arkonik. 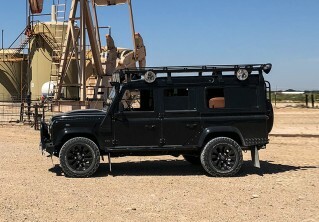 “After countless hours of online research and reading about Arkonik’s client experiences, I knew Arkonik was the obvious choice for my new defender. What I did not know at that time was how enjoyable the entire process with Arkonik would be. From the very first phone call through completion, every person I worked with was professional and helpful. The process was straightforward and Arkonik did everything they said they would do. Check out GIBRALTAR D110 Edition here or contact us for more information.